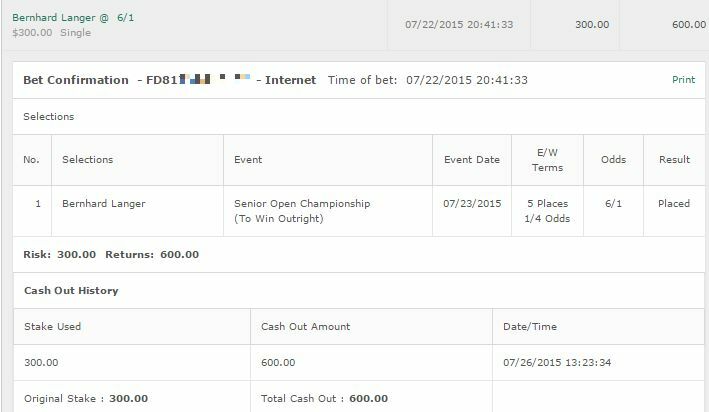 Well that was quite a disappointing US Open – from both a betting perspective and a viewing perspective. From a viewing perspective – blah. I just wasn’t feeling it. I think a large part of it was due to the lack of wind factor the first couple of days. Made for some high scores and it just made the final round feel a bit disappointing. We went into the final round with a lot of possible contenders to win but most fell by the wayside. It was down to Koepka and Harman who seemed to be in a contest of “who can miss the most birdie putts in a row”. Just wasn’t nailbiting. 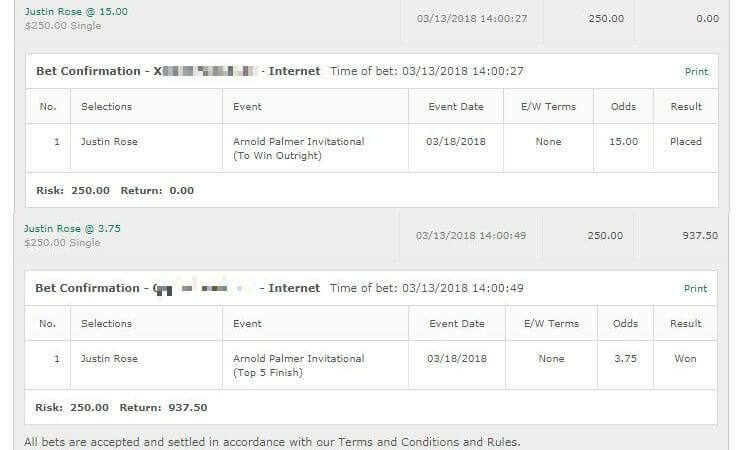 From a betting perspective it could have been amazing. We went into the final day with 3 strong contenders. Paul Casey, Brendan Steele and Rickie Fowler. Casey couldn’t match his fine start and really struggled in the wind going +2. Brendan Steele was the most exciting one as we had him at 150/1 odds. However he had some really erratic form throughout the final round and just couldn’t get going. Disappointing considering his early lead in the tournament. Bubba Watson: A multiple time winner of this tournament, I’m going to hope Bubba has his hot and cold form continue to go on. It’s 9th, cut, 5th, cut, 6th, 92nd at the US Open. So that MUST mean he performs well here right? He’s generally in solid form though and shows up well at this tournament. His odds are good enough as well. 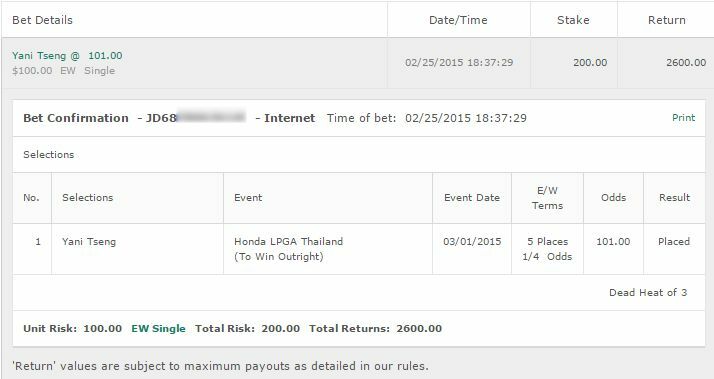 I’m betting a whole unit on Bubba to win and E/W. Brandt Snedeker: Generally liked his performance at the US Open. I think he’s going to carry that momentum on and come out swinging here. I’m taking him to win and E/W for a 1/2 unit. Graham Delaet: Graham DeLaet has had some mixed form but one thing he has shown this year is that he can still perform well with quite a few top 10 finishes. I’m not sure he has what it takes but he’s had two Top 5s here in the past and with the odds I’m fine betting on him for a quarter unit. His style suits this course well. Pabo Larrazabl: A two time winner not just of this tournament but in this course – yeah I’m fine with getting on him. 1/2 unit to win and E/W. Only bet I’m making for that tournament.